James Stephens (1882-1950) was an Irish novelist and poet who sometimes wrote under the pen name James Esse. 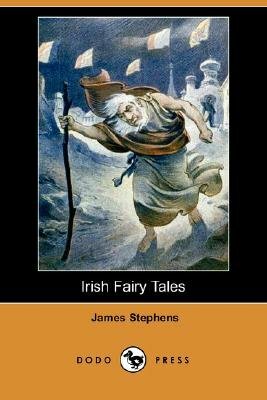 James Stephens wrote many retellings of Irish fairy tales. His retellings are marked by a rare combination of humour and lyricism. Deirdre (1923) and Irish Fairy Tales (1920) are often singled out for praise. Stephens began his career as a poet under the tutelage of George William Russell; his first book of poems, Insurrections, was published in 1909. He also wrote several books such as The Demi-Gods (1914) and Etched in Moonlight (1928) which are fiction, but loosely based on Irish fairy tales. The Crock of Gold (1912), in particular, achieved enduring popularity, and was frequently reprinted throughout the author's lifetime. His other works include: The Charwoman's Daughter (1912), Here are Ladies (1913) and The Insurrection in Dublin (1916).